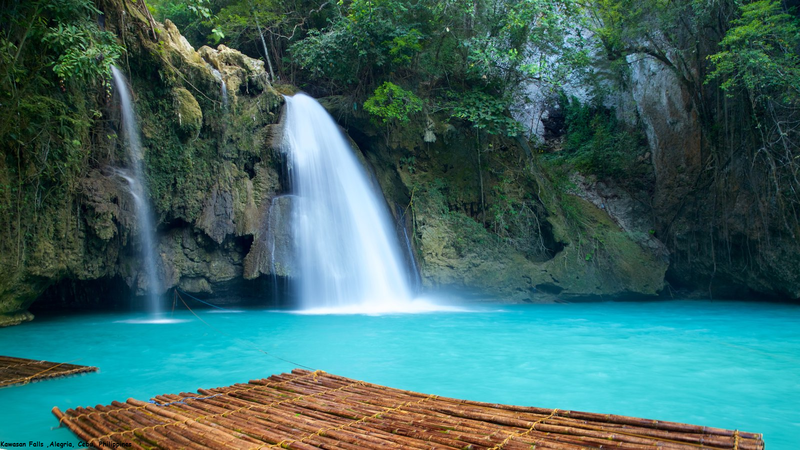 Kawasan Falls is one of the most popular waterfalls in Cebu and is located in Barangay Matutinao, Badian at the southwest part of the province. It is also just an hour away from Moalboal, which makes it an ideal nature side-trip after a day at the beach. Kawasan has two main waterfalls that are both deep enough for swimming. The first set of falls has a height of over 131 feet, while the second set has a wider area with a height of 66 feet. There is a small third falls a few kilometers away from the second one but is rarely frequented by tourists.